Health risk assessment of genetically modified organisms (GMOs) cultivated for food or feed is under debate throughout the world, and very little data have been published on mid- or long-term toxicological studies with mammals. One of these studies performed under the responsibility of Monsanto Company with a transgenic corn MON863 has been subjected to questions from regulatory reviewers in Europe, where it was finally approved in 2005. This necessitated a new assessment of kidney pathological findings, and the results remained controversial. An Appeal Court action in Germany (Münster) allowed public access in June 2005 to all the crude data from this 90-day rat-feeding study. We independently re-analyzed these data. Appropriate statistics were added, such as a multivariate analysis of the growth curves, and for biochemical parameters comparisons between GMO-treated rats and the controls fed with an equivalent normal diet, and separately with six reference diets with different compositions. We observed that after the consumption of MON863, rats showed slight but dose-related significant variations in growth for both sexes, resulting in 3.3% decrease in weight for males and 3.7% increase for females. 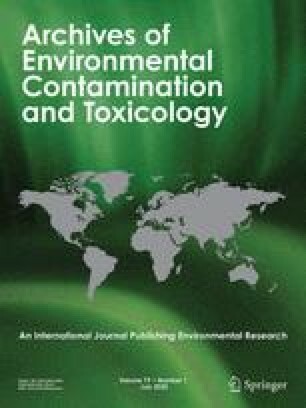 Chemistry measurements reveal signs of hepatorenal toxicity, marked also by differential sensitivities in males and females. Triglycerides increased by 24–40% in females (either at week 14, dose 11% or at week 5, dose 33%, respectively); urine phosphorus and sodium excretions diminished in males by 31–35% (week 14, dose 33%) for the most important results significantly linked to the treatment in comparison to seven diets tested. Longer experiments are essential in order to indicate the real nature and extent of the possible pathology; with the present data it cannot be concluded that GM corn MON863 is a safe product. We thank Anne-Laure Afchain for her help in statistical analyses, and the CRIIGEN scientific and administrative councils for expertise, and initiating judiciary actions by the former French minister of environment, Corinne Lepage, to obtain the data. We also thank Frederique Baudoin for secretarial assistance, and Dr. Brian John and Ian Panton for advising on the English revision of the manuscript. This work was supported by Greenpeace Germany who, in June 2005, won the Appeal Court action against Monsanto, who wanted to keep the data confidential. We acknowledge the French Ministry of Research and the member of Parliament François Grosdidier for a contract to study health assessments of GMOs, as well as the support of Carrefour Group, Quality, Responsibility and Risk Management.